Here’s an idea for a cute Valentines day card. 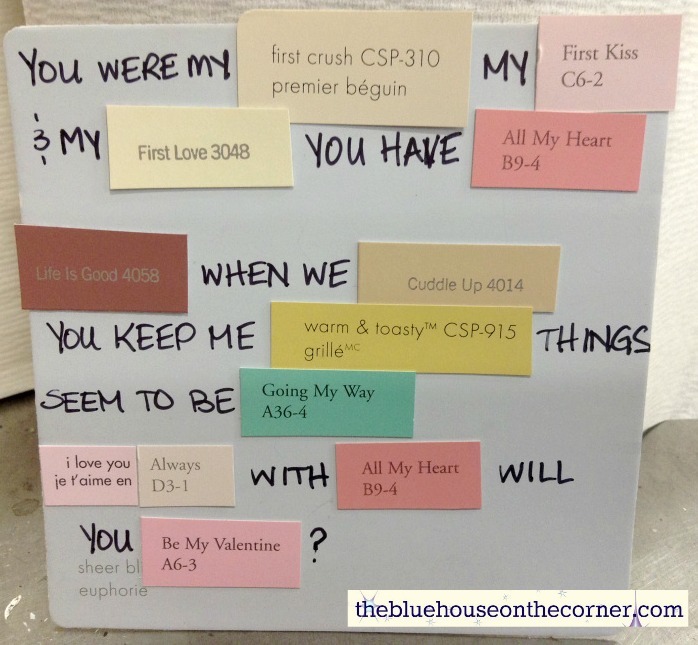 I work in a paint store and am always intrigued the the names of all the colors… So I found some that were lovey dovey and that could describe how I feel about my man! I cut the names out and created a little store to fill in the blanks.. What do you think?